Swim with sea lions and turtles, spot Galapagos penguins and flamingos, marine iguanas and blue-footed boobies; this one-of-a-kind UNESCO World Heritage Site offers the perfect unblemished example of a wild and natural world. 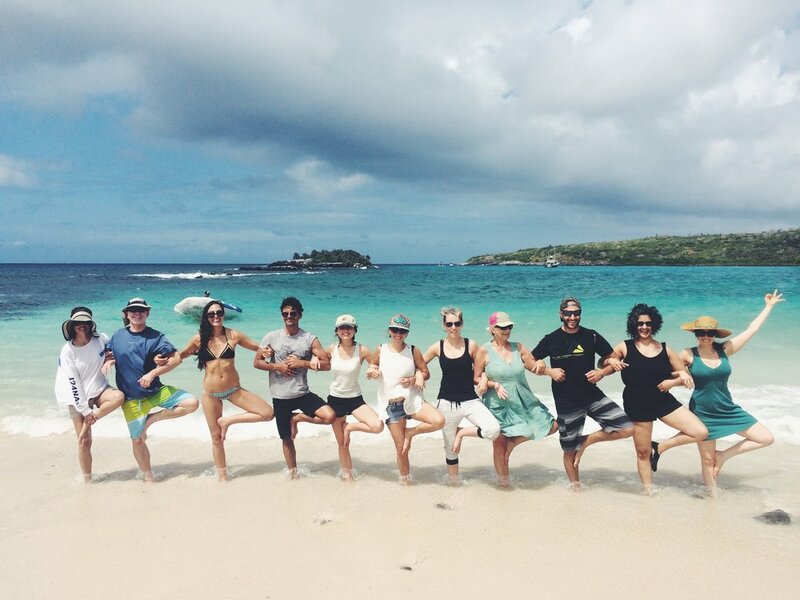 Join The Travel Yogi on an exclusive nature adventure tour in the Galapagos Islands! Swim with sea turtles and sea lions, kayak through secluded bays and mangrove forests, and sunbathe among giant tortoises on an intimate Galapagos wildlife exploration led by a certified naturalist. Every day on our Galapagos adventure tour is unique as are our rooms (which you won’t spend much time in!). Our 43 acre property boasts views of Isabela and Floreana Islands as well as Tortuga Bay on your home of Santa Cruz Island. The organic and biodynamic garden produces the veggies for your table as well as the coffee you’ll sip each morning. The three different villas on property share modern lux interiors with ceiling fans, safe boxes, wifi and bluetooth stereos. 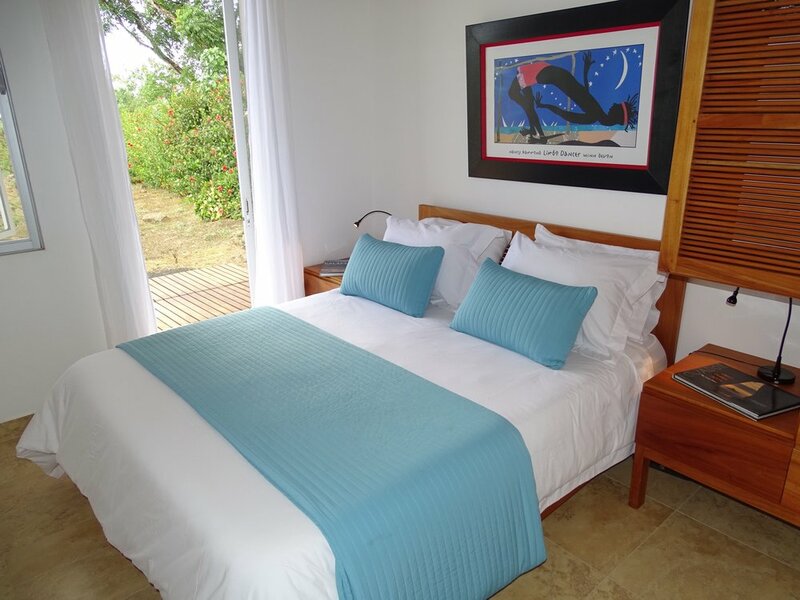 Rooms have either two twins, a queen or a king size bed and maximum exploring with minimal packing is accommodated with individual beach towels, rubber boots, rain jackets, water bottles and flash lights available for use. You will be traveling to the Baltra (GPS) airport in the Galapagos. Many flight schedules require an overnight in Guayaquil, Ecuador. Please feel free to contact us for recommendations on hotels in Guayaquil. Some flights may also route through Quito. Quito has a great colonial district and is an excellent jumping-off point for the Ecuadorian rainforest or mountain adventures. However it is also at an elevation and the airport is approximately an hour from the city center. Unless you plan on staying in Quito for a few days, we recommend that you travel through Guayaquil for your Galapagos adventure. This amazing Galapagos adventure tour features multiple nature excursions, as well the wildlife expertise of a certified Galapagos Naturalist Guide. Below is a sample itinerary. Each trip will include a trip to Bartolomé Island with the other two island days being a mix of North Seymour, South Plazas or Santa Fe. Please note that weather does play a part in some of the excursions; flexibility is always appreciated. Below is strictly a sample schedule of what your week would look like.